India is about to begin their test series against Australia in few days and as it was in England earlier this year; the team is struggling with injuries. India had lost Varun Aaron and Praveen Kumar already before leaving the Indian shores and now it seems like Ishant Sharma would also struggle to make to the test team. If Ishant misses out India might field a very inexperience attack unless the replacement/cover is Irfan Pathan. This scenario makes the presence of Zaheer very important for India throughout the series. The West Indies tour continued to suffer as more first choice players from the Indian team continue to pull out ahead of the test series. This time it is the turn of Zaheer and Sreesanth. The Indian team will now be without their first choice seamers for the test series. Abhinav Mithun and Praveen Kumar have been named as the replacements. Sometimes it is hard to understand the thinking behind some selections and Praveen’s is a curious one. Mithun though I understand as he did not do that badly in the test series against the Sri Lankans last year but Praveen’s selection comes as a surprise. If Praveen gets a game this will be his debut for India in the longer format. Munaf and Ishant are already part of the squad, so I am assuming they will be in the starting X1 for the first game at least. Mishra and Bajji will most probably play in most of the games considering how poorly West Indies batsmen have handled spin on this tour. If the need arises to play a third seamer it will be interesting to see who India will play in the X1. So the Indian team who are already light on experience in batting will be suffering the same in the bowling department too. The Indian team needs to win 3-0 in the test series in order to not lose any points in the test championship race. With the pull outs it will be miraculous if they achieve the same. The batting now will completely rely on Dravid and Laxman and the bowling on Bajji and Mishra. I hope that the youngsters can perform well and continue the good work they have been doing in the series already. The team under Suresh Raina has already won the ODI series and now Dhoni’s challenge would be to captain a young team to victory in tests. The pull outs though have made the series more competitive and give the West Indies a chance to upset the Indian team. Test squad: MS Dhoni (capt), VVS Laxman (vc), M Vijay, Abhinav Mukund, Rahul Dravid, Virat Kohli, S Badrinath, Harbhajan Singh, Ishant Sharma, Mithun, Amit Mishra, Pragyan Ojha, Praveen Kumar, Munaf Patel, Suresh Raina, Parthiv Patel. World Cup 2011 is back in the sub continent and while everyone is hoping this to be the magical farewell Sachin deserves let’s look at India’s chances in a two step exercise. The first major discipline the Indian team most often struggles is their bowling. India has failed to get a consistent bowling partner for Zaheer over the past couple of years thereby putting lots of pressure on our premier bowler. Zaheer to his credit has responded incredibly well but let’s look at the possible bowling combinations India could try in the lead up to the World Cup. Even though we have struggled in the bowling department, India has still managed to find some sort of consistency in the selection of the ODI squad. Praveen Kumar and Ashish Nehra have done a commendable job over the past year in the absence of Zaheer Khan. There have been few others tried in the meanwhile with limited success. So going by the latest trend, India might open the bowling with Praveen and Zaheer with Nehra being the first change. Since the world cup takes place in the subcontinent, I feel that pace is a very important factor rather than the swing. Unless we are playing in the northern part of India under cloudy skies, I don’t see the bowlers getting too much of swing. Praveen Kumar might have a lot of struggle under conditions which are not favorable to the bowlers. So who could be the backup options? Ishant Sharma is one of them and of course Sreesanth might be in the squad too. Both of them have the pace but both of them are way too inconsistent to bank on. The unfortunate part is that Ishant Sharma got injured when he was looking like getting back to some sort of rhythm against the Aussies and Sreesanth who replaced him for the next game looked very rusty. India has around 10 ODI’s to try various combinations and I hope we do try everyone who might be part of the squad in all those games and make sure that the main bowlers are fit for the major event. So currently the pace bowling list looks like this, Zaheer, Ishant, Praveen, Nehra and Sreesanth. There are other names too in the list who have played on and off in the team like Munaf Patel, Abhinav Mithun and Vinay Kumar. Since the world cup is in the subcontinent I am thinking that we will not be looking at more than 4 pacers in the 16. I wouldn’t want to be one of the selectors for sure when they sit down to pick the team for such a major event. A home tournament means that you at least have easy access to replacements when someone gets injured. The spin department too throws quite a lot of names with Bajji being the only settled bowler in the X1. The other spinners who could make the 16 are Ashwin, Ojha, Mishra and Jadeja. The chances of Ashwin and Jadeja being the second spinner is more likely as they both are in the squad as the allrounders. The BCCI’s plan of sending the Indian test squad early to South Africa to get acclimatized to those conditions would mean that the selectors can try out different combinations in the home series against New Zealand. Even though we should have identified our combinations by now, it seems like we have fallen little back on trying out few players. Ravichandran Ashwin has just played couple of ODI’s till date and Ojha has never gotten a consistent run in the team. Mishra too has not been part of the squad for a considerable length of time. This probably shows that we are one of the most underprepared team right now among the favorites in the bowling department. With teams like South Africa, England and Sri Lanka playing with almost settled squads for close to a year now, India is still looking for the right combination ahead of the world cup. Captain Dhoni said in his latest interview that he will be looking to play the full team in the ODI series against the proteas, which leaves the selectors with just the ODI series against the Kiwis to experiment. With various combinations to try and with bowlers like Vinay Kumar and Mithun in the wings, I am not sure how we are going to pick a 16 at the moment. Except for Zaheer, Nehra, Bajji and Praveen the rest of the bowling just looks like a lottery at the moment. It will an interesting selection and the coming months will give us a clearer picture. Whatever may be the squad, I just feel that the selectors have left this too late for comfort. We just have to hope that the prime contenders hit form at the right moment for the big tournament. Sri Lankan batsmen hammered the Indian attack on day 1 at Galle when they finished on 256/2 in just 68 overs. The bowling performance by the Indians was lackluster and without any imagination for most part of the day. Abhinav Mithun though did not do himself any harm as he turned out to be the best bowler on view on a day when the bat dominated the proceedings. When Sreesanth and Zaheer pulled out due to injuries everyone knew that the Indian bowling would struggle but one thought that with added responsibility Ishant might get his form back. But it seems like Ishant hasn’t learnt anything during his sabbatical from the Indian team. His stint at Kolkata Knight Rider’s camp under the tutelage of the legendry Wasim Akram seems to have had no impact on the lanky pacer. Ishant Sharma is a classic case of modern Indian bowlers who start their careers with a bang and lose their steam with one full year of International cricket. As my numerous articles on this topic suggests the list is endless. Zaheer was the only one who managed to escape the trend with an inspired comeback couple of years back. With the day 2 washed out it seems like this test might meander to a boring draw unless the Indian batting fails dramatically. It’s unfortunate that the last test of the great Murali has to end this way. If the rain continues he might not have the opportunity to go past 800 test wickets which begs the question whether he should have retired after this series rather than just the first test. All in all it was a disappointing performance by the Indians as the bowlers looked pretty flat on the opening day. Sri Lankan batsmen were untroubled for most part of the day and Indian bowlers, pace and spin alike did not have any impact on the batsmen. If the play resumes on the 3rd day, it seems like the batsmen would continue to dominate and the Indians are facing a huge first innings total. I am thinking that the Indian batsmen would be praying for more rain in the coming three days of the test. The Indian team for the World T20 was announced couple of weeks back and there was hardly any surprises in the squad. 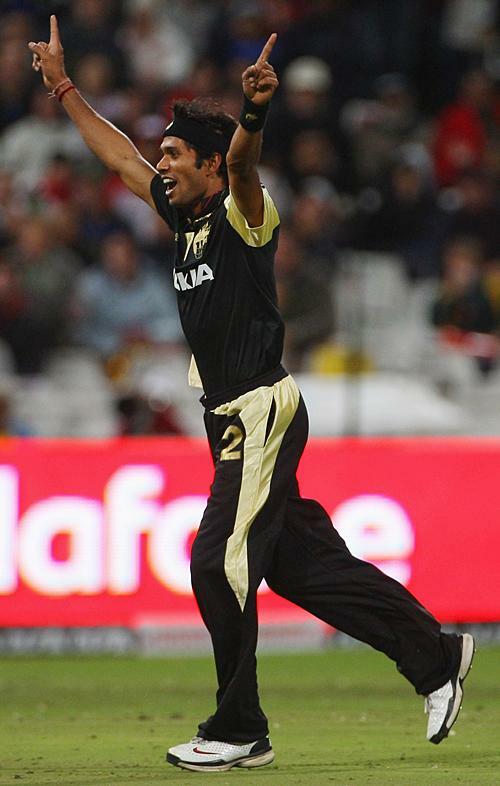 Vinay Kumar got his maiden call up to the national team, a reward for his excellent performances in the domestic arena. Piyush Chawla too gets a call up ahead of Ojha and Mishra as the second specialist spinner in the squad. The rest of the team picked themselves. The fact that Ashish Nehra makes it to the squad right after a prolonged injury break with hardly any practice proves how much the selectors are deprived of options. Praveen Kumar the other pace bowler in the squad has been pretty ordinary in the IPL after few good games at the start. Mithun and Tyagi have been pretty disappointing in the IPL and don’t look like T20 bowlers, similar to Ishant. 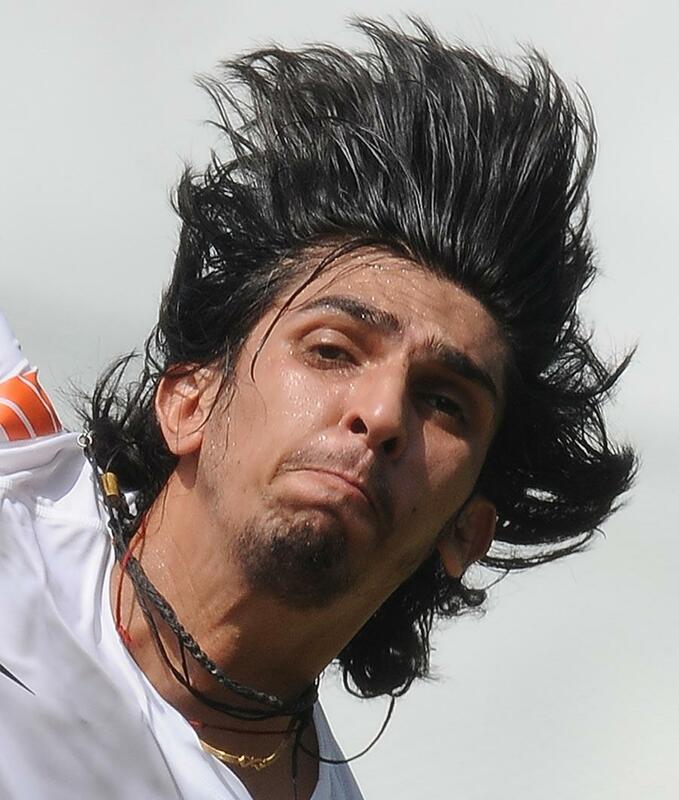 Ishant himself has been pretty ordinary for the past couple of years. So we are going into the world cup with two world class bowlers in Zaheer Khan and Harbajan Singh, one debutant, one bowler coming back from injury and one bowler making a comeback into the team. The selection pretty much emphasizes the problem we have with the bowling. So basically the selectors have done the best they can with the limited resources at their disposal. But heartening thing is that after a pretty bad beginning by the Indian bowlers in the IPL III the second leg has showcased some good young bowlers. Ashoke Dinda of KKR, Sid Trivedi of Rajasthan Royals, Harmeet Singh of Deccan Chargers and Umesh Yadav of Delhi Daredevils have all impressed with their bowling at crucial junctures for their respective teams. The spinners also have been on song like Ravichandran Aswin, Pragyan Ojha and Jakati have been fantastic throughout the tournament. So it seems we have some gas left in the tank after all. The problem is tapping the talent and giving them breaks at the right time. Bowlers like Mithun and Tyagi should not be ignored either. More than having talents at your disposal, knowing when and how to give them chances are important. Understanding the strengths and weaknesses of the bowlers and using them appropriately is something the selectors have to look into. Even though the bowling looks thin for India in the World T20, I am happy that the selectors at least tried something different by giving a break to Vinay Kumar. When 39 year old Anil Kumble is the best bowler in a T20 competition then you have serious issues. This is exactly the story of IPL III this year where Anil Kumble and Muthaih Muralitharan have been the best bowlers by a mile in terms of economy and wickets tally respectively. Even though the overseas pacers have done reasonably well, the Indian pace bowling continues to suffer in the ongoing IPL. Ishant has been ordinary and the less said about Irfan Pathan’s bowling exploits the better. RP Singh looks jaded and the other young bowlers like Tyagi and Sangwan lack consistency and pace to survive at the international level. So why is India struggling to unearth one good pace bowler to compliment Zaheer in the Indian team? Praveen Kumar has been bowling very well for Bangalore Royal Challengers and Zaheer has been in decent form for Mumbai Indians but that about does it for Indian pacers till date. Chaminda Vaas who hasn’t played for Sri Lanka for a while has easily out bowled every Indian bowler in this tournament. That says something about the plight of Indian pace bowling in the past few months. So it seems like the selectors are in for a headache when they sit together to pick a team which will best represent India in the upcoming T20 WC in West Indies. Zaheer and Praveen probably will be automatic selections considering current form but who will claim the third seamer spot is anybody’s guess at the moment. Sreesanth has been poor, Nehra injured and Irfan Pathan not in the 30 probable’s picked for the T20 WC. The selectors might look to play 2 spinner, 2 pacer attack to counter this situation with Mishra or Chawla joining Harbajan in the bowling line up or they could give a chance to a untested youngster such as the promising Mithun or Umesh Yadav who has bowled with pace and heart for Delhi Dare devils. I guess some investigation should be done as to why our bowlers regress after a strong start in their careers to avoid such situations in the future. Is it the money? Is it the fame? Is too much cricket affecting them? Someone has to find an answer to that question. The team selection will be an interesting one, whatever the combination the selectors come up with. I am not hoping for any drastic changes or any major surprises in the squad so we have to be prepared for Nehra, Ishant to be back in the squad. We will see Indian bowlers leaking lots of runs yet again the onus clearly will be on the batsmen to perform. Bowling continues to be a problem and looking at the IPL performances there seems no light at the end of the tunnel. Phew! What a game. South Africa almost pulled off a miracle yesterday against India in the first ODI between the two sides in this three match series. When SA was 182/7 requiring more than 7 an over, I thought to myself even our bowlers couldn’t mess this up, but how wrong I was. The Indian bowling as usual melted under pressure in the final overs and allowed No. 10 and 11 to get the visitors to within 1 run of securing a brilliant victory. To be frank when you have Ravindra Jadeja (5th bowler) as your best bowler on the day then you have serious issues. The Indian selectors seem to be averse to doing any sort of experimentation with the squad at the moment. The bowling selections have been monotonous for the past year or so. It has been Nehra, Zaheer, Praveen, Ishant and Sreesanth doing merry-go-round for the bowling spots. Tyagi received one chance and there has been no other new bowler for the Indians. Zaheer seems to be the only bowler who is remotely close to being a decent ODI bowler and the rest of them seem ordinary. I would give a few more chances to Praveen Kumar but Sreesanth, Ishant and Nehra need to stay away from the team for some time. The Indian selectors need to be bold with the selections and look ahead to the World Cup. With the current bowling line up India will get hammered in the World Cup which is supposed to take place on these batting paradises in the sub continent. India needs to give a decent run to Tyagi, Mithun, Irfan and Sangwan etc. to see how they do in this format. I am sure they can’t do worse than the current crop. If not for few lucky decisions going India’s way and a fantastic over by Praveen under pressure India would have lost the match easily. I hope the selectors are listening and I hope they experiment a little bit with the bowling combinations in the future series.